Disagreeing with the women in my family is a hierarchical threat designated code orange. Get to red & blood flows. Yellow, I know. Königstein is the Brandberg Intrusion’s highest point. Königstein is Deutsch for ‘King’s Stone’. Pareidolia is, I’m told, a feature found in neurotic people. That doesn’t worry me at all. Peruse the attached photos if you will. Can you see the resting king /s? Yes? You’re living with pareidolia. You are also an exceptional human being. Well done. No? Shame on you. Beige anyone? ….You’re living with pareidolia. You are also an exceptional human being. Well done. 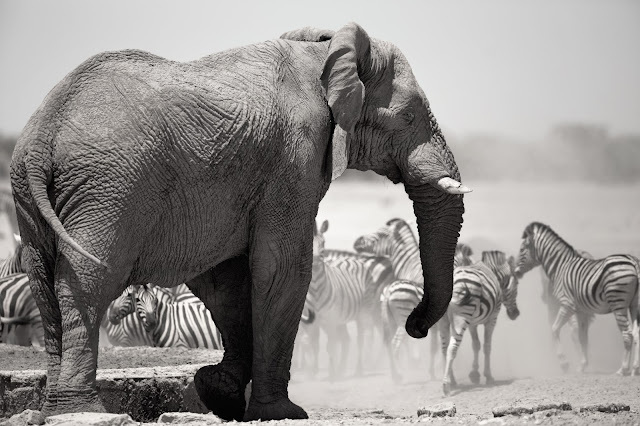 In case you hadn’t guessed we’d returned to Namibia, the beloved land of savannahs, for a few weeks of adventure at iconic Etosha National Park & the west coast’s Swakopmund. Birding featured but was not this trip’s raison d’etre. Our daily toil was less frenetic; a nice change. The trip was not without its challenges. Why would it be? As far as tyre-punctures go, an inner, side-wall tear must be the most tiresome. Some risk a repair but inevitably the plugs fail; sometimes with a bang. Confining the tyre to the bin is easier to complete safely without the attached vehicle. Removing the flaccid rubber is a long-established practice. 4 of the 5 lug nuts read the memo; the 5th did not. We’d departed South Africa 750 km earlier & in time to arrive at Buitepos before sundown. Buitepos is a small settlement on the Namibian side of the shared Botswana / Namibia border. A flat tyre, 50 km on the Botswana side of the Namibian border, was an inconvenience & like a rash, should have been mildly irritating. No job too hard on the road to glory? Some 3 hours later – a long, long time after the sun had gone down, ‘irritation’, as an expletive, was less genuine in description… The nut had stripped. I can confirm man-tears do NOT lubricate nuts. Our only option was to pump the tyre and limp westwards, at 40 kph, until the tyre ran flat. We’d then have to repeat the process. Gobabis, on the Namibian side of the border and approx. 100 km further west, was our closest auto-shop convenience. Through trial & error we managed 15 km approx. between pumps. That’s ten, enforced 15 minute stops & 3 hours of open road travel [ceteris paribus] before any hope of redemption. We passed muster at the Namibian border at 11:57 pm ie: with 3 minutes to spare and declined to wake up the staff at our pre-booked accommodation, 2 stops further on. We were, however, a little tired & spent the night in the car, under open skies. Memorable, if not stiff-necked, stuff… We had a similar accommodation-failure on our way home, two weeks later. Don’t be swayed by the board advertising accommodation in nearby Ghanzi [Botswana]. It’s a little too ‘touchy-freely-friendly‘ for children – particularly on a weekend. Between the two nights of misery, however, two exceptional weeks of discovery & adventure. The austral summer can be warm. 40°+ C at 3 pm, in the drier parts of Namibia, is not uncommon. The coast’s different. Cold ocean currents ensure a mild ambient temperature, all year-round. On the other end of the globe, temperatures plummet, snow falls & Santa comes to town, on his sled. In the southern-most parts of Africa, Namibia included, the going is more difficult for sleds. A donkey-cart loads more & is a better option for the discerning, super-fast traveler. 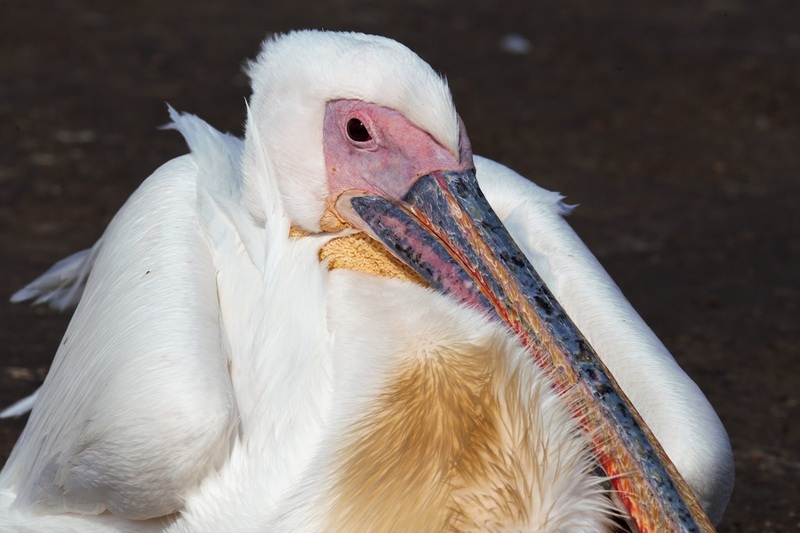 A healthy serving of German & Italian families seemingly can’t skate & migrate south, to Africa, joining most of Europe’s smartest birds already on seasonal safari. 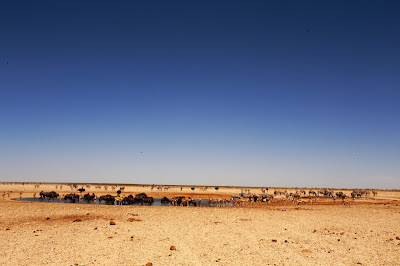 In Namibia they descend on Etosha & Swakopmund like fliegen auf scheisse. South Africans, me incl. if I’m honest, deplore the rush & wait inconvenience. Prices double; finding accommodation – hopeless prayers in the wind &, most unusually for Namibians renowned for their hospitality, local tempers fray. South Africans love to point fingers at the Lufthansa khakis & hats. Don’t even mention the spousal, accusatory looks when Italian shoes & bags stroll by. Perversely this finger-pointing & the accusatory looks emanate from within the foreign arrivals queue.. Undeniably the locals celebrate the back of the South African off-road trailer gang as soon as the season closes. You cannot escape politics, humanity & tight-fitting shoes, even in the desert. 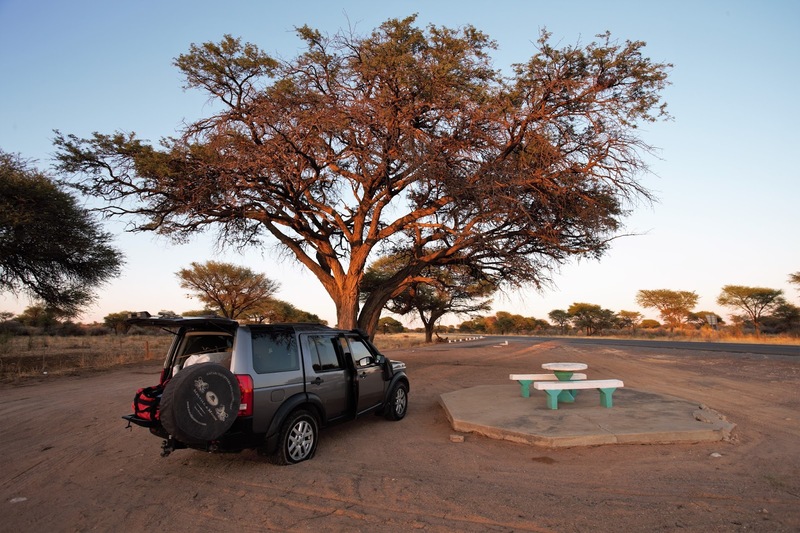 Most South Africans cross into Namibia by private vehicle. It’s a valued freedom. The Euro-jet-set fill buses, mini-buses, purpose-built people vans, luxury trucks & planes. 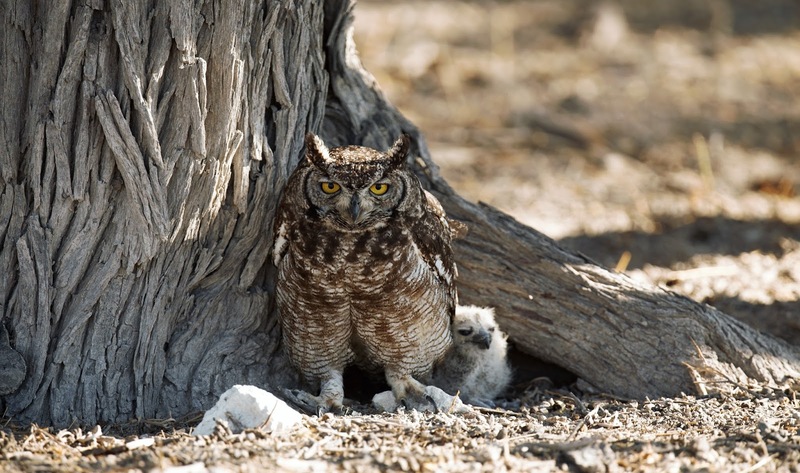 In Etosha these transfer to a steady stream of OSVs [O is for ‘open‘] & closed safari vehicles [CSVs – pls. follow]. These locally guided vehicles, built-for-speed, ply across the Andoni plains in search of tigre & warzenschwein; a fraud really. Smart people know that the only tigres in Africa are either behind bars; in the petting & rug business or bottled for wine. The habitat is all wrong too – tigres are a swimming cat. The desert’s mirage, convincing as it is, is still a faux oasis. Warzenschwein, however, are common which I suppose accounts for the repeat business. In fact many German-speaking boys & girls, got their tails up, stayed behind & call Namibia home. This accounts for the German-influence in most of Namibia’s urban hotspots esp. in Swakopmund. ‘Swakopmund’, German for ‘beach resort at the mouth of the Swakop river’, is Namibia’s gateway to fun, food & a punctual taxi service. 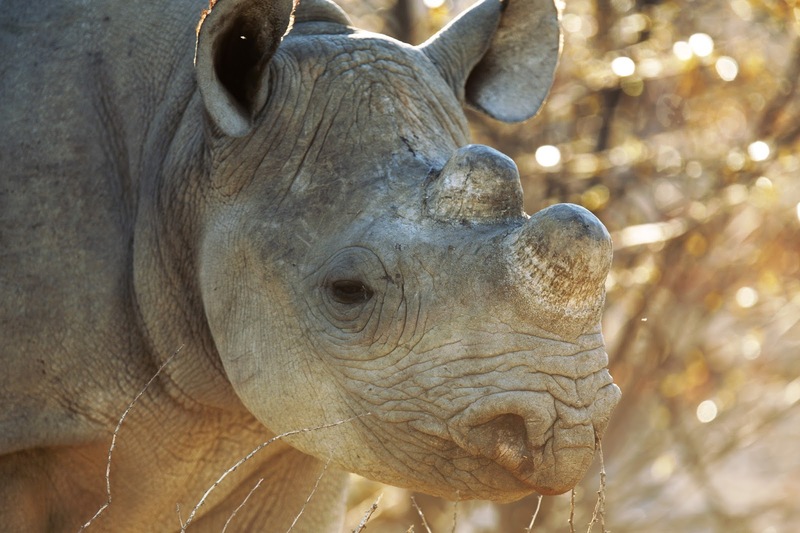 ‘Swakop’, in turn, is a portmanteau derived from the San words for rhino [‘xwaka’] & river [‘ob’]. The Nama people claim the town derives its name from their own ‘Tsoakhaub‘ or ‘excrement opening‘. If you ask me it’s a kick in the bum for rhinos; a sp. currently on the windward side of comfortable. What has changed in Etosha, certainly since our last visit, is the proliferation of super-luxury buses traversing the park & they do so even on the corrugated side-roads. I blame the corrugation on the OSV rally but the buses don’t improve things much either. If you’ll excuse the Italian – mi fa cagare ie: ‘it’s bloody awful’ [or something like that]. Let’s be fair. When drinking elephants, choking in the arrival dust of a luxury liner, look up to see the conductor – y’know it’s tickets please. Exhaust fumes take on a different pique, nose to an idling bus’s tsoakhaub, even in a Land Rover, the best 4x4xfar. Fortunately the authorities have allowed free-access to the western bits of Etosha, previously verboten for the ave. punter. We expressed our freedom. We turned left – the hats & shoes followed each other, right & by ‘left’ I mean from Okaukuejo, Etosha’s iconic rest-camp located in the south of the park’s central region. A single, less-corrugated, gravel road lifts Etosha’s western veil for those who like to see what they’re buying. Fortunately not many do. You won’t see much of the endorheic salt pan, Etosha’s ‘Great White Place‘ unless you crane your neck & look behind you. Did we see less than we might have done on the eastern circuit? I suppose so. Then again how many lions do you need to see? Success at home might be measured in numbers but, out on the road, success becomes a patchwork quilt of treasured memories. The best are first-hand, detailed & rare. 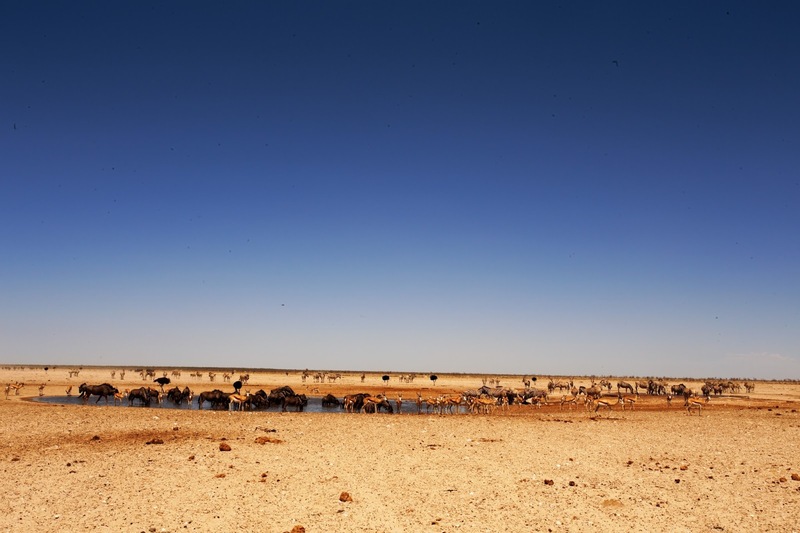 As expected in these desert-like parts of Namibia’s Kalahari Basin, it’s hot & dry [unless it’s cold or raining]. Most of the game clusters around the well-spaced water-holes; the resident lions & elephants too. Further away the lesser fauna enjoy some breathing room and their own, special place in the sun. It’s precisely the environment in which memories flourish. The fight was declared a draw as soon as both sp. 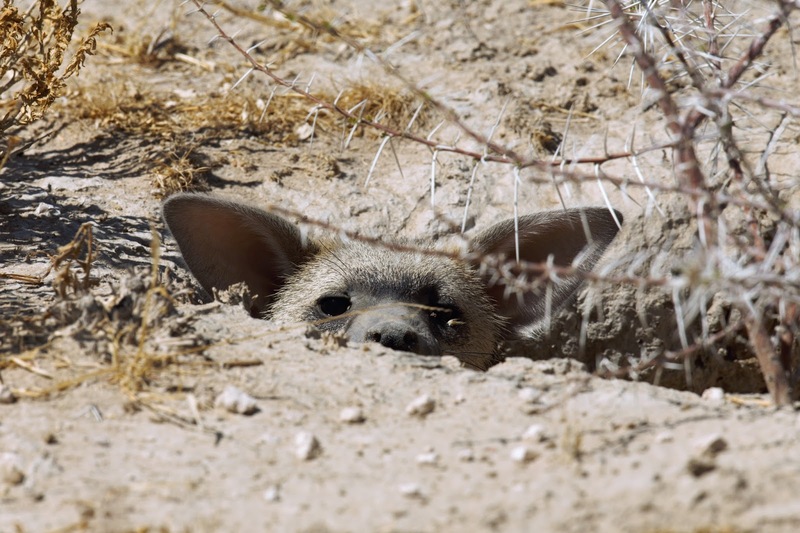 stopped snarling long-enough to notice us. The subsequent scattering to all points on the compass would do the ave. stampede proud. For those of you ever caught without shoes on an African beach, at midday, you’ll appreciate what I mean when I say their paws were aflame as they bolted. Certainly every wolf / fox-for-itself as the furious five pushed & shoved to unmarked exits. Birding in the west is less obvious than it is around Okaukuejo & further eastwards. Secretarybird and some of the open-plain species are, however, present in small numbers. The waterholes are a hive of activity. 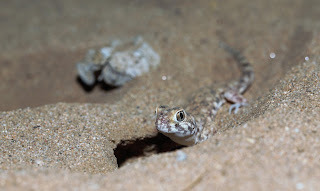 An hour or more at a functional waterhole [some are dry] is worth the time. Pink-billed Lark is common as are Burchell’s Courser. We didn’t go far enough west for the truly localised species eg: Bare-cheeked Babbler, White-tailed Shrike and Hartlaub’s Spurfowl but all occur in fair numbers in the more suitable habitat in Etosha’s far western corner. If the birds don’t titillate lions use the sparse vegetation around the waterholes for vantage, cover & shade. The lucky few see them hunt. We were lucky. 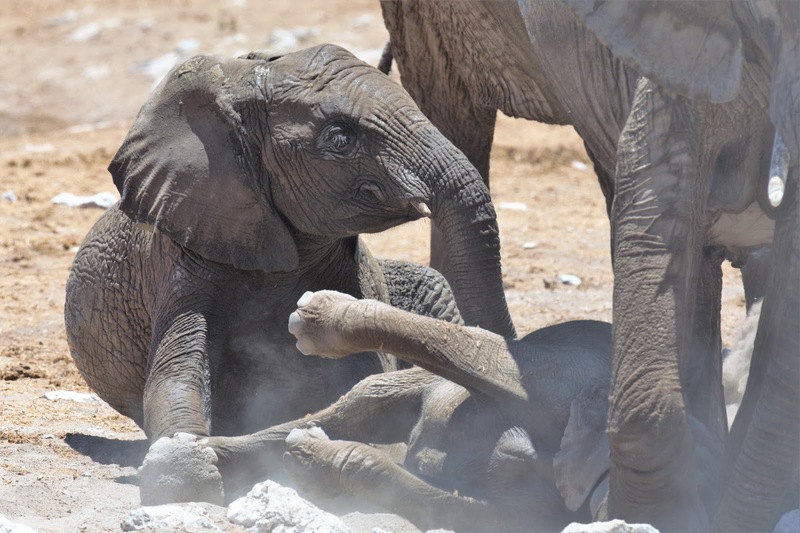 Etosha’s western wilderness is not unique but it’s certainly special. It’s off the Euro circuit, is less-traveled & dare I say it, will probably stay that way. That suits us fine. We’ll stay in the west next trip & cut the daily commute. 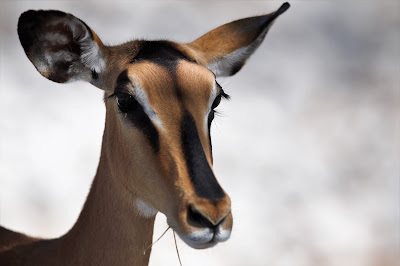 A small, disjunct population of Black-faced Impala, captured in Namibia’s northernmost Kunene region & released into Etosha in the 1970s, are more readily seen in the thicker vegetation at or further east of Okaukuejo. Territorial & sedentary as a consequence, many subsequent generations are still found at or near their ancestral points of release. Although only a sub-species of the more numerous Common Impala & not always appreciated by association, there are very few sp. 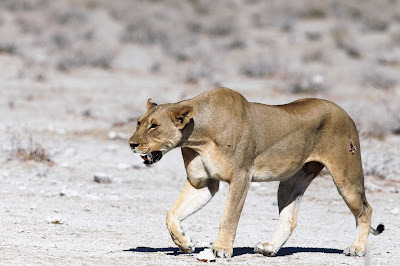 in Etosha more alert and more graceful; a personal favourite. 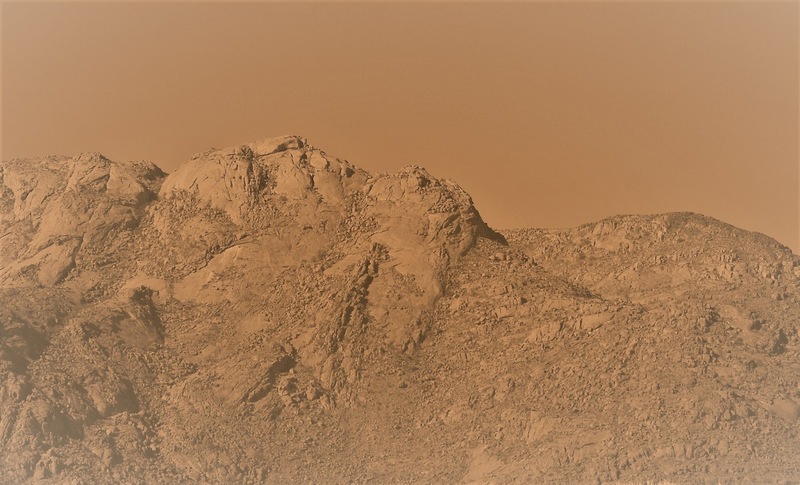 We made the mistake of buying some vacuum-packed venison at Okaukuejo’s retail outlet the night before we departed for the Brandberg Massif; Namibia’s highest point south of the ‘red line’. For those who don’t know, red meat bought or transported north of the non-linear, non-demarcated ‘red line‘ is prohibited from passing back or into an area south of this gazetted line. The State’s intention, I presume, is to limit or eliminate the spread of foot & mouth disease [sometimes carried in uncooked meat] to the commercial cattle herds further south. FMD [foot & mouth disease] is an infectious, sometimes fatal, disease affecting most cloven-hoofed ruminants. Game sp., largely immune to the disease, are carriers and can infect susceptible ruminants, in close contact. That’s fair enough. Applying the same logic to commercially-processed / prepared meat is, however, a crock of droppings. The officials grow corpulent on confiscated meat. An official’s grasp of written & verbal English, the sometimes common language, often fails when good meat is on the block. ‘Vacuum-packed in Outjo’, [the commercial hub south of & the gateway to Etosha] is, I submitted, similar in content to other ‘vacuum-packed’ meat; a method of packaging which ‘legally’ excludes the contents from confiscation on a red-line transgression. Fortunately the drive to the Brandberg Massif, further south & west, is fairly uneventful. Silent, quiet contemplation provides some perspective… The route is not without its points of interest, however. En route, traditionally-dressed Herero & Himba women advertise photographic opportunities. Group selfies are extra. It’s a commercial service on a first-pay, then click basis. The days of click & run are history. One of the more accessible / good value lodges in the Brandberg Intrusion is the Brandberg White Lady Lodge. We’re big fans. There are, of course, more upmarket facilities dotted around the foothills & on the escarpment, some of which we’ve been to but we return, most often, to this lodge. It’s comfortable, clean & boasts an incomparable thirstland garden. Most importantly it’s on the desert elephant highway. Older individuals, following ancient routes we hardly understand, use the lodge as a waypoint. The nearby Ugab river provides food & shelter. Getting a glimpse of these grey ghosts is breathtaking, if not a hit & miss affair. We’ve been lucky once & that was some time ago. Evidence of their passing is, however, left blowing in the wind or imprinted in the sand. Not a separate species or very different from other African Elephants, the desert-dwelling elephants are considered an international conservation priority. Humanity’s quacks & quirks, notwithstanding, let’s hope they’re here to stay. They’ve paid their subs. 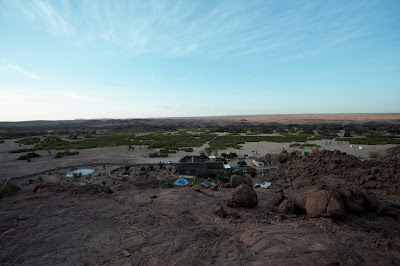 From atop the inselberg, behind the lodge, is a view that stretches across the plains. To the west – the slumbering king. In the north – the Ugab river; an oasis of green on a palette of red & sandy brown. To the east and south – ragged, jagged, stony plains. The unaccompanied silence is both deafening & intrusive; a comfort in a topsy-turvy world of our own making. An artificial water-feature behind the pool attracts a plethora of localised sp. In this thirstland water is life. In the late afternoon swifts & martins skim the surface for a stolen sip. Namaqua Sandgrouse take their turn a breath before twilight. As darkness plummets a new order of things; smaller things. The Marbled Rubber Frog is a localised busy-body & noisy neighbour. 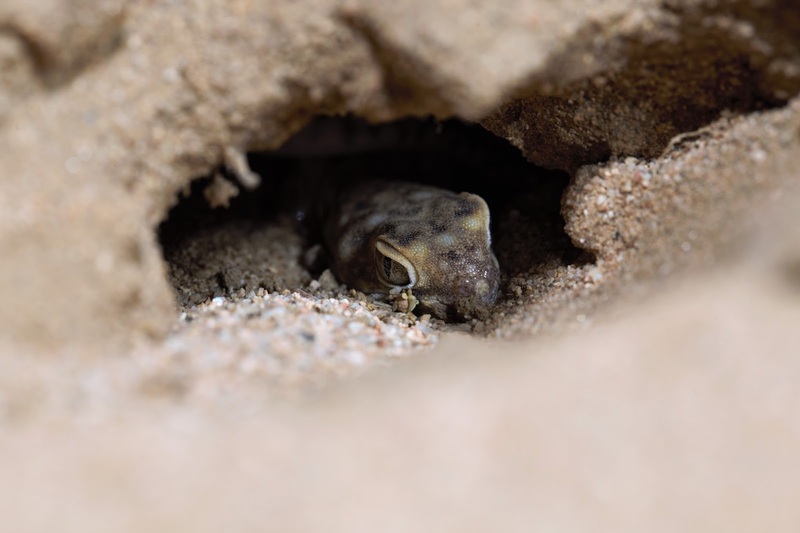 Inhabitants of arid, rocky regions, this amphibian is resolute in defying the odds. The fact that the sp. is also semivoltine [ie: takes more than a year to complete a single generation], makes its evolutionary survival worth croaking about. After dark the flood-lit rock-pool is the end-zone for an insect-smorgasbord in transverse orientation; energised, zombie moshers at the 100 watt party. Geckos bark at the gates, join the buffet & make a feast of it; the Marbles too. The late crowd fly in and take their place at the lights. The immediate lull after crepuscule’s last call is a veneer of tranquility The desert’s circle of life is, in fact, a ring of fire esp. under lights, over water. 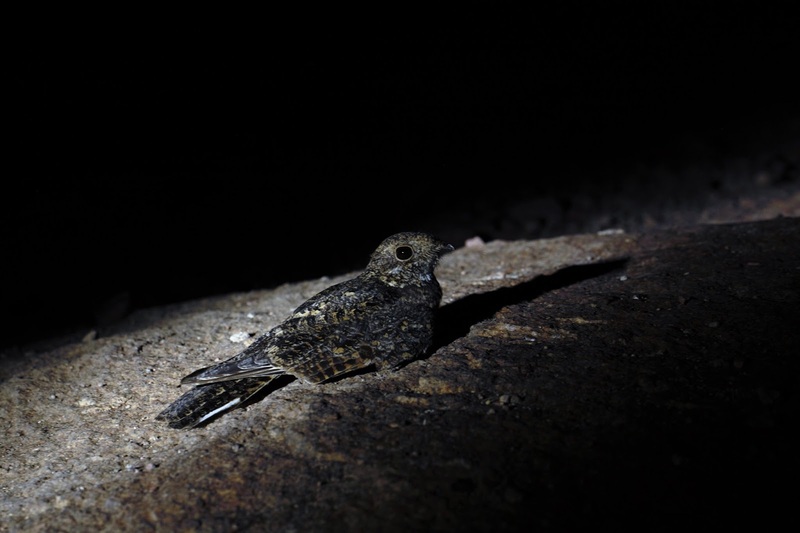 Gorged on the juices of fallen revelers at burn-out, nightjars pick a window & chew the fat. Light-goblins dance on the pool. Yap-yap. Yap-yap. Like all nocturnal birds nightjars have a larger corneal diameter relative to the axial length of the eye. It’s an adaptation for visual sensitivity to light, rather than acuity. Artificial light, therefore, tends to overwhelm the sensibilities of nocturnal birds and they become vulnerable. Predators exploit the opportunity. 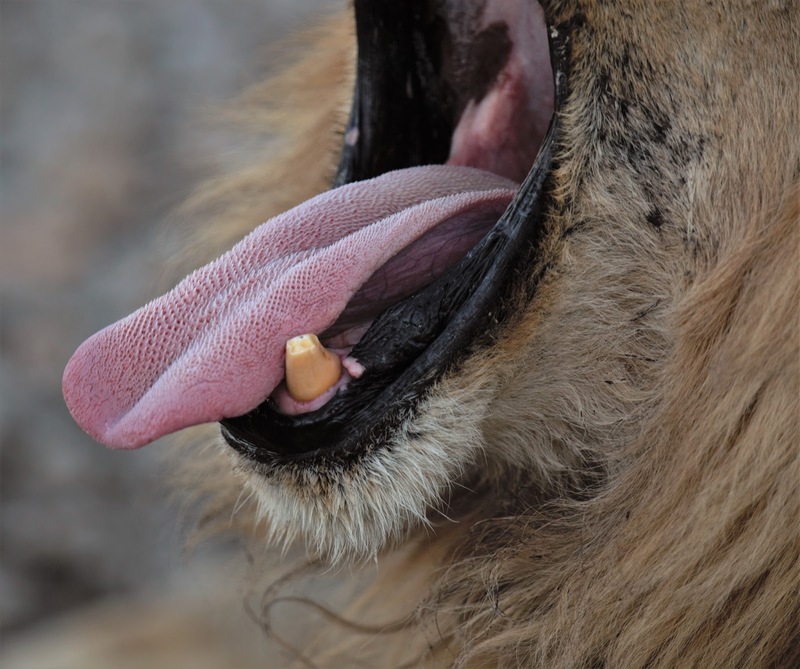 Big cats still roam these parts in drips & drabs; pushed to life’s edge by cheap ammo. and a misguided sense of entitlement. Small cats are also under the cosh. Fortunately the smaller felids’ diminutive size exploits a wider range of rocks under which they hang & hide. Humans, excl. the crossfit mob, don’t like lifting rocks. Too many nasties. Discombobulated under lights, nightjars bob, excessively blinking & confused. Marinade & sides is, therefore, the most difficult decision for the resident caracal pop. when ‘good-nightjar’ features on the table. Fortunately for the bird pictured, the cat & I rounded the same boulder, in a converging, parallel universe; the cat in a clockwise pussyfoot, me anti-estab. ie: t’other way. The hiss & howdy-rowdy at contact was an echo too much to bear. The bird departed without so much as a good story. The anchor-leg of this trip lay further south & west in Swakopmund. [Read more here, here & here.] Walvis Bay, Swakop’s ugly sister, swaddles the coast some 30 km further south. The birding is better there; the stories too but this was a different kinda-trip; an adventure pilgrimage to the west coast – hugging, red sands of the Namib. In betwixt the ugly sibling & our Swakop hotel, reside a plethora of unscrupulous, desert-fun-touting, tourist-trap shysters. They call themselves ‘special interest tour [SIT] operators’. You might want to sit down before you pay. Fastidious in their pursuit of profit, activity rack rates rise high above the para-glider bailout zone. The quads get you squatting too but it’s all good fun in the sandpit or so I’m told. Globe-trotting adreno-bums flock in; fly high & flock out again. 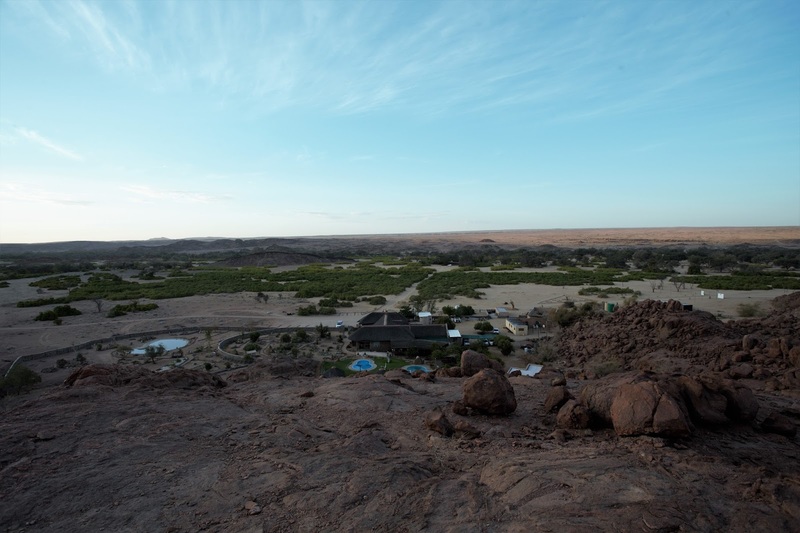 Fortunately only a specified section of the desert is cordoned-off for these activities & that includes the latest fun-in-da-sun craze – Namib-surfing. Regulations prohibit any paid-for excursions outside of this designated zone. Any transgression is punitive and for the tour operator’s account. The regs. are, therefore, adhered to zealously; a law-abiding cartel, then. The kids spent a week flying, jumping, riding & surfing on their bums with the other bums; a sand-burn to rival the sunburn if ever they came a cropper. Alisha & I spent the time birding & in degrees of anaphylactic shock at bill-presentation; theirs, not ours; their bumps & bruises a perverse but unspoken delight. Poor babies. The return leg was a gentle, wound-licking affair – the last night’s accommodation notwithstanding & a reminder that travel, in whatever form & to wherever, whenever, anywhere, is true wealth. Don’t spend your time lightly.